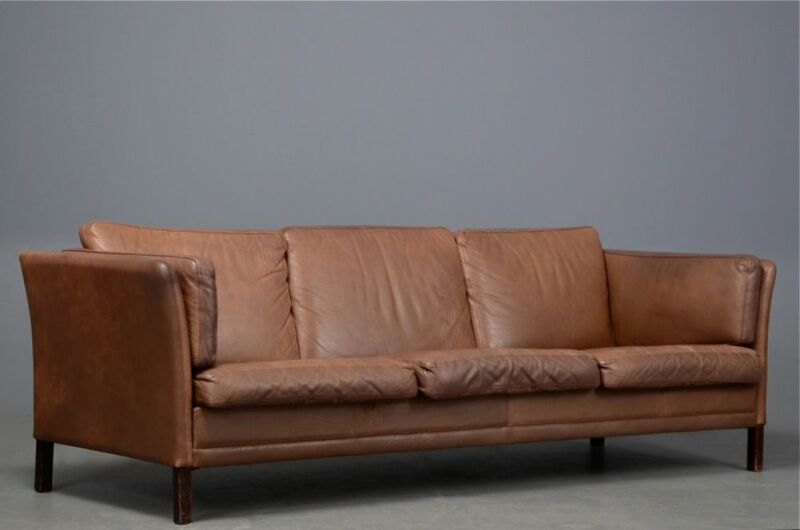 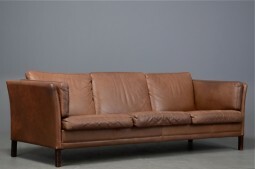 A three seater leather sofa in a 'dusty' brown hide from Denmark in the style of Borge Mogensen. 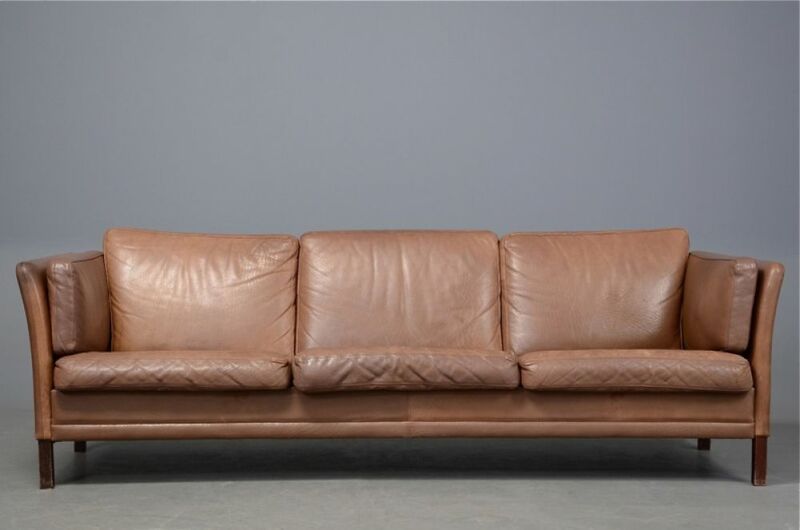 c1960/70s. 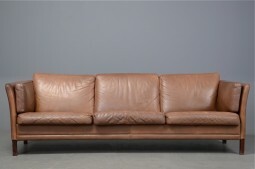 215 cm wide, 75 cm deep and the seat is at 36 cm.